By request, the Warg Collar is a heavy duty collar designed for military and police working dogs. It's made from the same 1.5" 4015 webbing that we use for our Renegade Belt, and features an AustriAlpin Cobra buckle for the closure. 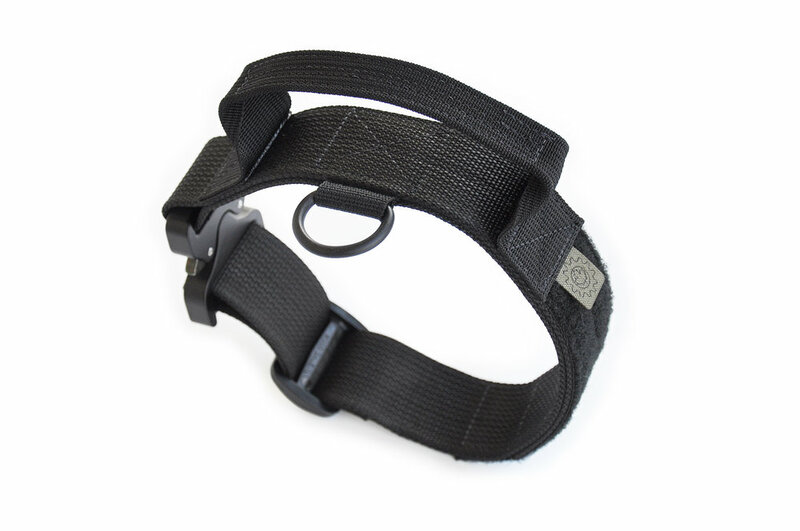 The collar has a 1" welded steel D-ring for leash attachment and we've added a control handle which will be optional. There is also a section of Velcro loop for doggy name tags or patches. We are looking at offering these in Black, Coyote Brown and Wolf Grey.